I really don't know what brought it on. Maybe it was the early morning dark, or the fact that I was still bleary from recent sleep. But all of a sudden, it dawned in the dawning hour -- the next shifting. Don't you know, we all shift in small ways and large throughout the day, month, year, and all years together? Or we should (and not that icky, "do more, do better, rush rush rush" kind of should -- I mean the slow and nourishing and natural kind). We are made for changing, not for staying the same. Look out the door, the window. See how the earth makes way for roots and greenery, how the trees blossom then turn skeletal, how the sun and stars and moon turn and turn, always turning. Watch the snake shed her skin, the woman shed her bloody monthly lining, the child shed his baby teeth. 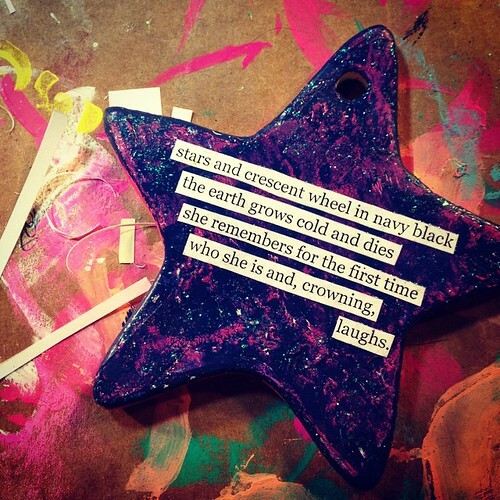 We are, all of us, made for changing, growing, shifting. This morning, my next one came. Or arrived. Or began. I had begun to think that it wouldn't. That I was trapped in this sameness, and while it's not a bad place to be, you may have heard that we're made for changing. Then, there it was, blooming wide in my heart and mind: I don't want to live that way any longer. I can't. I have decided that I won't. And that was it. An end, a beginning, and the start of a new middle-ish place. I can't say where this will bring me, only that I am glad. 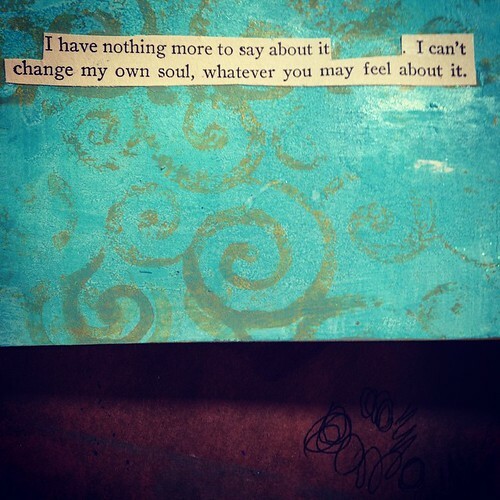 Because I am made for changing. A declaration? An anthem? Maybe. A fitting way for starting to bring my fearless year to a close? Absolutely. I've been wanting this for a while. But I wasn't brave enough, wasn't quite ready. I was too afraid of what -- who -- I might lose. Until I saw that I lose those things, those people, anyway, because I guess people can sense when you're not being all of you, or that maybe you really weren't meant for each other anyway, not in this here and now, at least. This time, I'm ready, I think (I hope). I feel like I can't afford not to be. We are made for changing, you know. I can't, I won't keep asking permission for the things no other person has the power to permit or deny. I refuse to keep asking if I'm allowed to be who I am, because I am. You are. It's allowed. It's necessary. Just like that, the inner walls of stasis and stagnation begin to crumble. Because we are made for changing and changing and changing, becoming ever more of who we truly are at the core. 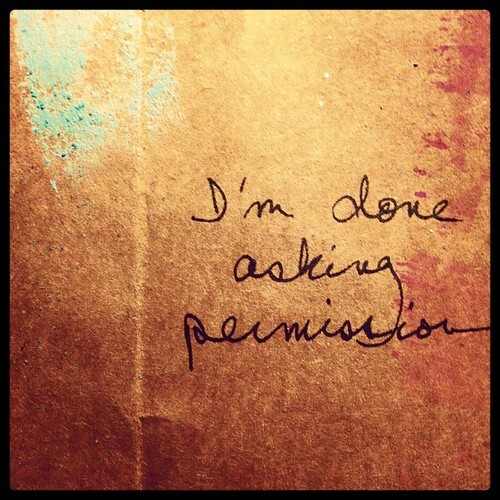 Your turn: what are you asking permission for that perhaps you don't need to be? What's one think you'd like to try on in order to become more fully and authentically you?